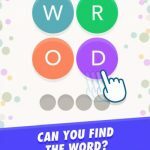 Wordsdom is Gaming Hippo’s latest word puzzle game for Android devices. In this game, you will be given a set of letters, as well as a group of blanks in a crossword puzzle setup. Instead of descriptions or definitions, your only clue will be that all the blanks will be filled with words that can be formed using some or all of the letters that you have been given. You will then swipe across the different letters in order to form the words that you need to fill up the blanks. You can swipe in any direction when forming words. 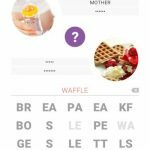 Once you complete all the words in the blanks, the level will be completed. There are over 2,000 levels for you to take on. Some of them are more challenging than the others. Do you have what it takes to solve all the puzzles? The game’s mechanics are easy enough, so even word novices will be able to join the fun. If you want to get far in the game, however, you will need a good strategy. Trying to guess the words by randomly linking letters will only make it more difficult for you to figure things out. 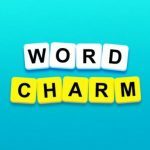 Make sure you read our complete list of Wordsdom answers, cheats and solutions if you need some help!